To better define the tools their employees need to properly analyze big data, executives from eight companies have created a data science standards board. The companies, which include The New York Times, Spotify and several firms with a Chicago presence, plan to establish a standardized test for job applicants. Eventually, companies across industries could use the test, executives involved in creating the board said. They equated it to a bar exam or certified public accountant test for data professionals. But one expert cautioned that the companies could miss out on top-notch employees if the standardized testing isn?t done right. Nielsen plans to evaluate the test when it?s completed, which could be later this year. The U.K.-based company, best known for tracking television ratings, employs more than 1,000 in Chicago and is growing its data team globally. Mazumdar said the test could easily be used across the company when hiring for the team. ?I spend 30 percent of my time on talent,? Mazumdar said. Having a standardized test to help identify qualified applicants could streamline the hiring process for Nielsen and other companies. 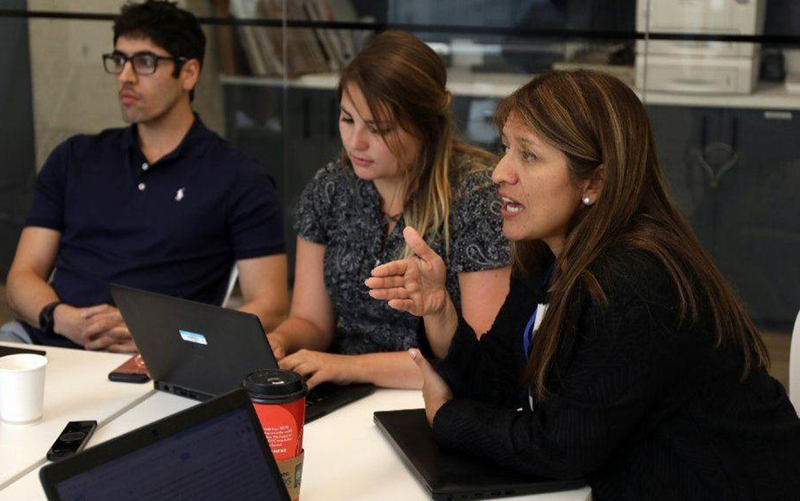 At Booz Allen Hamilton, more than 800 employees are working to wrangle data, and that?s not enough, said Patrick McCreesh, director of digital and analytics strategy. The Virginia-based consulting firm has been training its current employees to become data scientists, with a goal of creating more than 5,000 from its existing workforce in the next five years, McCreesh said. The effort extends to its Chicago office, which houses about 100 employees who work with commercial and government clients. The standardized test will signal to Booz Allen whether its incoming workers are ready to be data scientists. If they?re not, the company will know what training they need. ?We will use it as a signal for where someone is with their skill set,? McCreesh said. The standardized test won?t be tailored to the curriculum of General Assembly?s data science boot camp, Luke said. Companies will help contribute to the content. The standards board also plans to create free rubrics and study guides for test takers. ?Because data science is a relatively new discipline ? it?s hard to define who is the good data scientist or who only did a little bit of research,? he said. Fong, who now lives in Plano, Texas, and works as an associate data engineer at Capital One, graduated in May from U. of I.?s master?s degree program in data science. The program launched in 2016, and Fong was a member of the first graduating class. Enrollment in the program has exploded in the past two years, said John. C. Hart, professor and director of online and professional programs at U. of I.?s computer science department. He expects to have more than 1,000 students in the upcoming academic year. It?s not surprising companies are banding together to create a standardized test to learn more about the skill levels of their incoming employees, Hart said. Many companies give their own form of assessment or test to incoming candidates anyway. The key will be developing a test that can assess whether a candidate has the ability to learn new skills. The data science field changes quickly, and experience with a tool that?s popular now doesn?t guarantee success down the road, Hart said. ?There are all sorts of cases where a student ? understands the fundamentals but may not have experience with a specific tool a company uses,? he said. ?If they?re just focused on those skills, they?ve potentially weeded out a strong employee that could have quickly come up to speed. ?